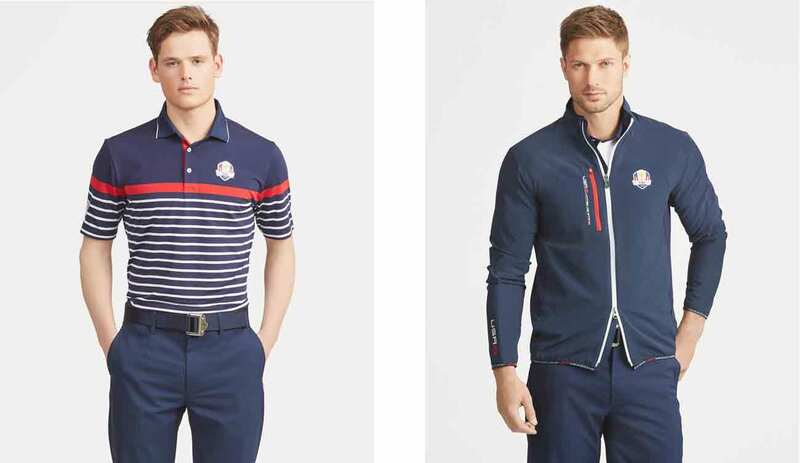 Ralph Lauren has the honor of outfitting Team USA once again for the 2018 Ryder Cup in Paris, and this year's iteration is yet another cool collection of stripes, color blocking and graphics in a trusty red, white and blue color palette. 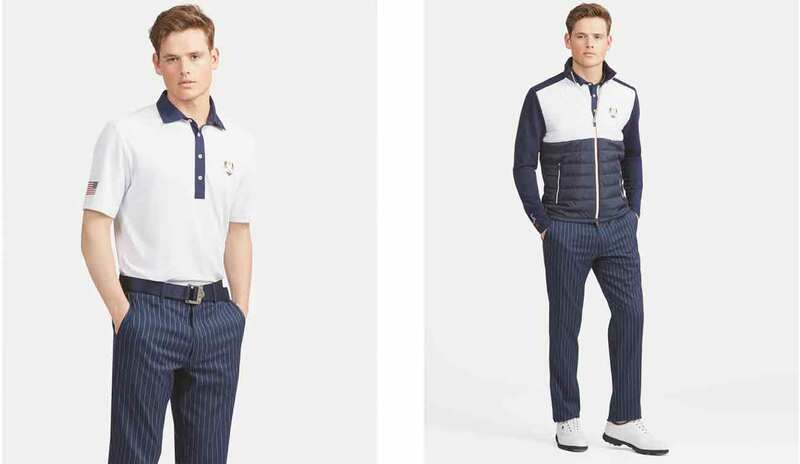 Perhaps the most noteworthy addition to this year's collection is the subtle camo map-print that appears on selected outerwear — what appears to be a modern camo pattern from afar is actually a graphic depiction of a course map, inspired by Le Golf National, site of this year's matches. Another cool detail: "United We Stand" is printed on the interior waistband of all on-course pants. 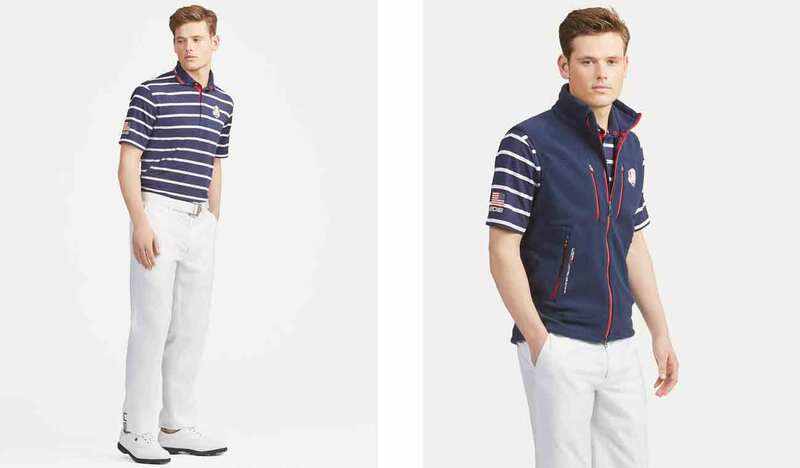 Items from the Ryder Cup collection are available for purchase at ralphlauren.com. TOP: Light Weight Technical Pique in White with Navy Stripe, $98.50. 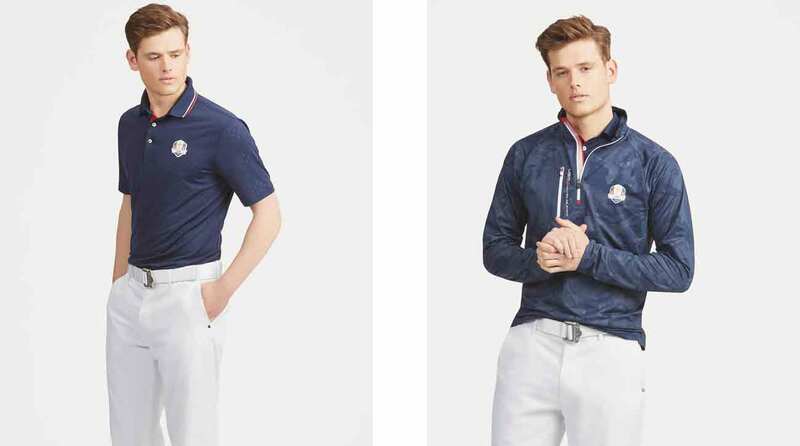 BOTTOM: Golf Pant in French Navy, $97.50. SWEATER: Crewneck Sweater in Navy, $185. TOP: Light Weight Engineered Airflow Jersey in Navy, $98.50. BOTTOM: Golf Pant in White, $97.50. SWEATER: Zip Merino Wool Sweater in Navy, $245. TOP: Light Weight Airflow Jersey in Navy, $98.50. BOTTOM: Golf Pant in French Navy, $97.50. JACKET: Packable Jacket in Navy, $198. TOP: Light Weight Engineered Airflow Jersey in Navy/White Stripe, $98.50. SWEATER: Laminated Micro Fleece Vest in Navy, $145. 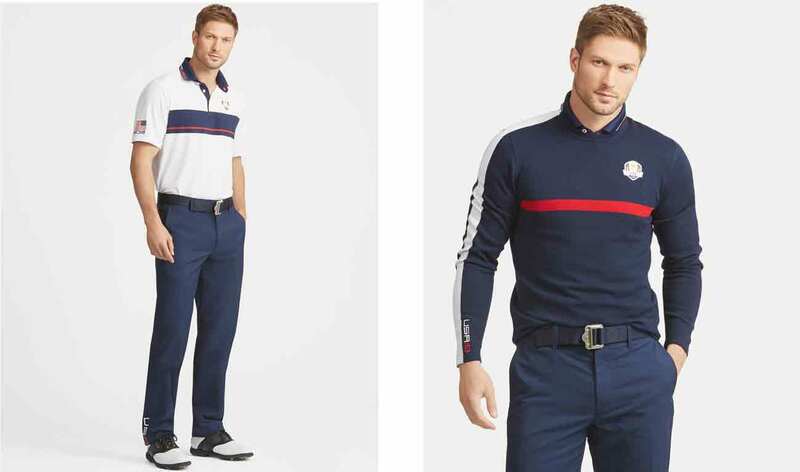 BOTTOM: Golf Pant in Navy Pinstripe, $97.50. JACKET: Cool Wool Jacket in Navy, $225. TOP: Debossed Star and Stripe Jersey in Navy, $98.50. 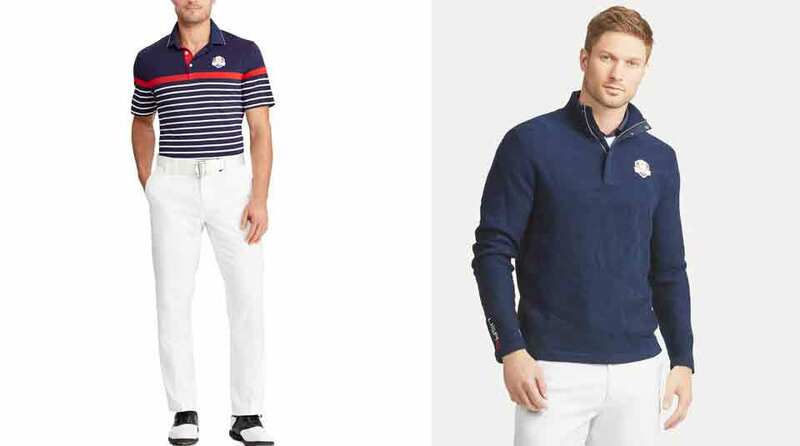 BOTTOM: Golf Pant in White,$97.50. JACKET: Brushed Back Technical Jersey in Navy, $165.